Like most of us here, you’re probably dealing with a serious hangover this morning. Well, we have some great news for you. 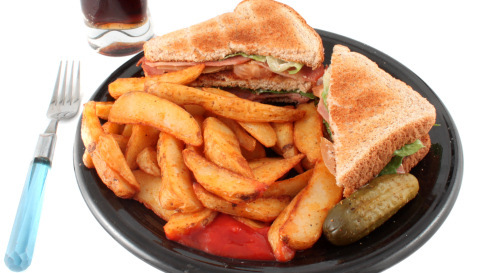 In a recent article on FoxNews.com on hangovers we noticed a very appealing remedy – bacon sandwiches! Theory: It is the hangover cure for many — its smell and taste often prove irresistible. Tradition has it that the bread soaks up the alcohol. We know have scientific support for the notion that those late night, or morning after, breakfast feasts are actualy good for you (sort of). That’s good enough for us. If you’re looking for other options in light of your New Year’s resolution to trim that gut, then check out our hangovers page or some of the hangover posts at Asylum.com.